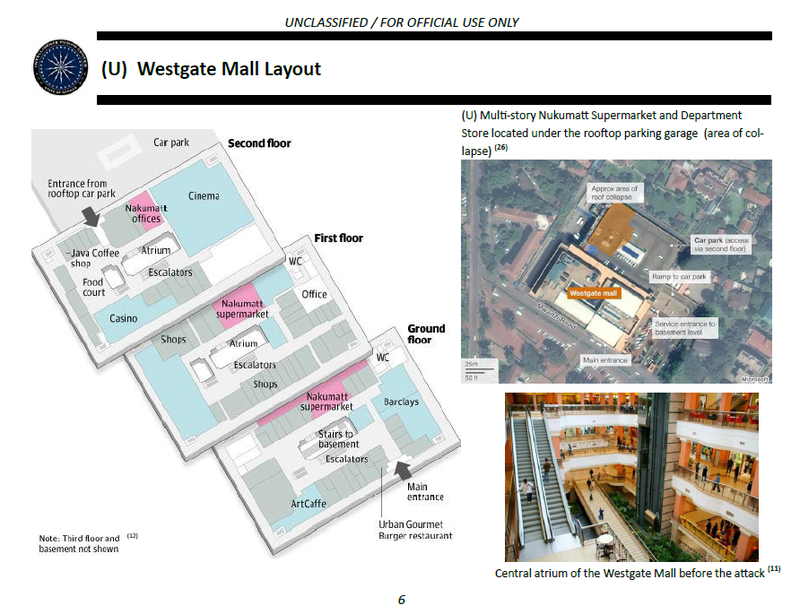 On Saturday, September 21, 2013, members of Al Shabaab, a Somali based Islamic terrorist organization affiliated with the international Al Qaeda network, executed a complex terrorist attack on an upscale shopping mall in Nairobi, Kenya. The attackers simultaneously entered the mall from two different entrances, shooting shoppers with assault rifles and throwing hand grenades. The terrorists remained in the mall, engaging government security forces for the next four days, resulting in a major fire and partial collapse of the mall. The Kenyan government has officially reported 72 deaths and more than 200 injured as a result of the attack. A significant number of those killed and injured were foreign citizens, including 6 U.S. citizens who were injured in the attack. 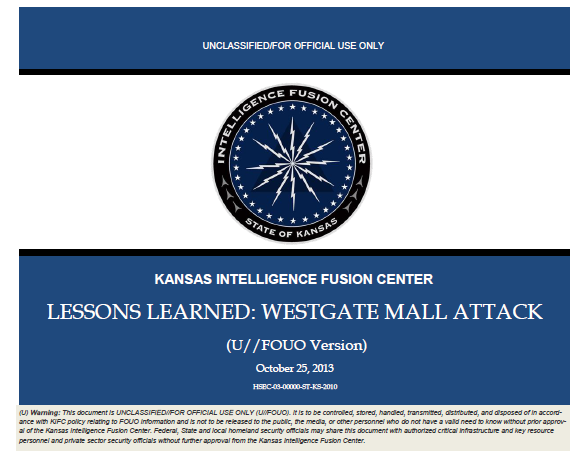 This product is intended to provide an overview of the attack and its aftermath for government leaders, law enforcement officers, emergency responders and private sector partners who operate public venues, including shopping malls so that they can review their facilities, security measures and plans in the face of the tactics used by Al Shabaab. 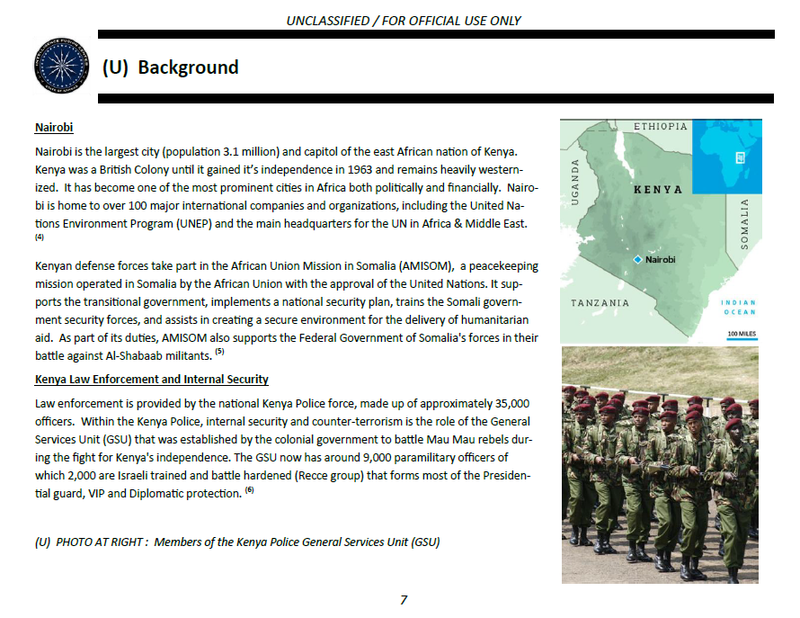 The level of planning and the magnitude of the attack indicate that Al Qaeda in general and Al Shabaab in particular remain a serious threat. The fact that all the preparation for this attack, from gathering intelligence on the target, to training, equipping and moving the terrorists to their target, was done in secrecy demonstrates a sophisticated knowledge of operational security and communication security measures. Active shooter scenarios continue to be a viable threat to public venues and need to be ad-dressed by both law enforcement agencies and private security. The attack may have been carried out by as few as four terrorists, despite early reports that ten to fifteen attackers took part. During an attack of this type, there is no intent by the attackers to take hostages or negotiate with law enforcement. The longer the attackers remain operational, the more victims will be killed or injured in the attack. Rapid initial response by available law enforcement and security forces, even if disorganized, saves lives during the initial phase of an active shooter attack.